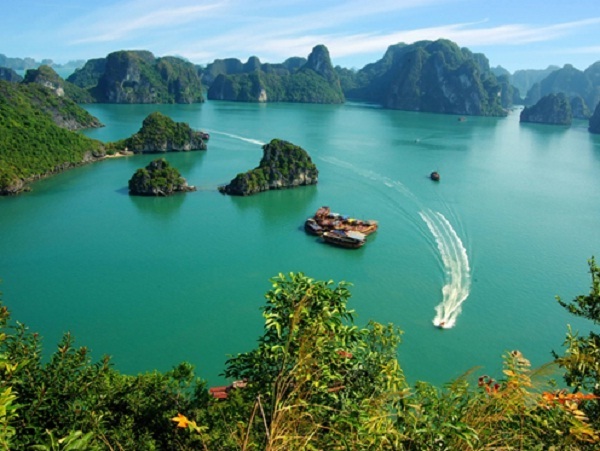 Halong Bay is only 170 kilometers from Hanoi, and it’s very easy to get to there from Hanoi. We will give you some advice on the means of transport for your private trip. The first choice is renting a private car or taking a taxi. 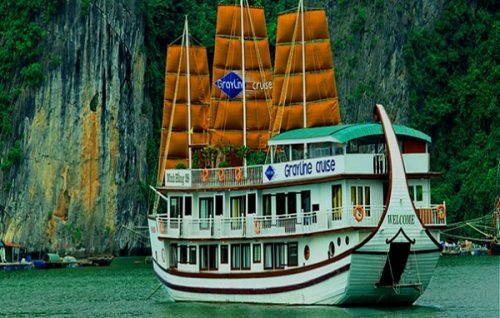 It takes 4 to 5 hours to travel from Hanoi center to Halong Bay, and costs $80 to $150. This is the most flexible and convenient way but quite expensive. The last and cheapest choice is going by bus from My Dinh Bus Station (Hanoi) to Bai Chay Bus Station (Halong). Tickets are bought at the ticket counter for $5 USD. The journey takes 4 to 5 hour with the bus stopping to pick up passengers along the way. If your bus departs Hanoi later than 10a.m it is unlikely that you will make it to Ha Long in time to catch the last ferry at 3p.m. 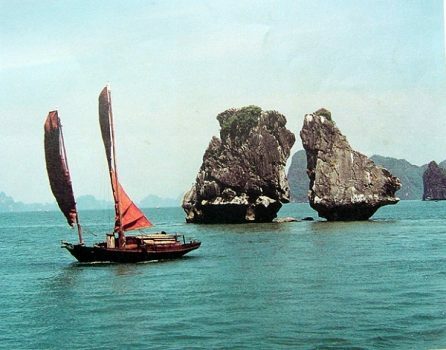 Cat Ba is the most popular destination in Halong Bay for tourists. The island is half-covered by a national park, which is home to the highly endangered Cat Ba langur. 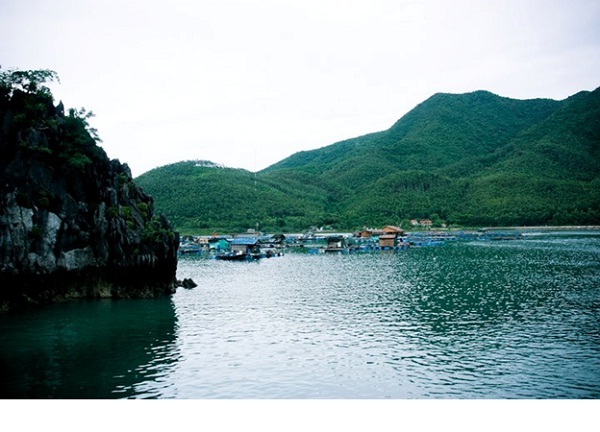 From Halong Bay, take a taxi to Tuan Chau Island, then catch a ferry there to Cat Ba. Quan Lạn is famous for some beautiful beaches. 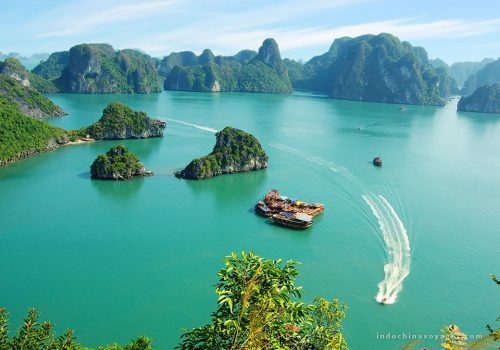 It is reachable by ferry from Halong City, or from Van Don Island, which is connected by bridge to the mainland. 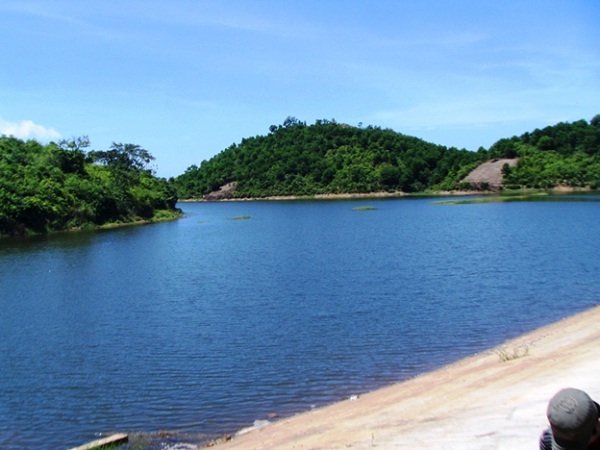 Ban Sen is a thickly forested, almost uninhabited island. 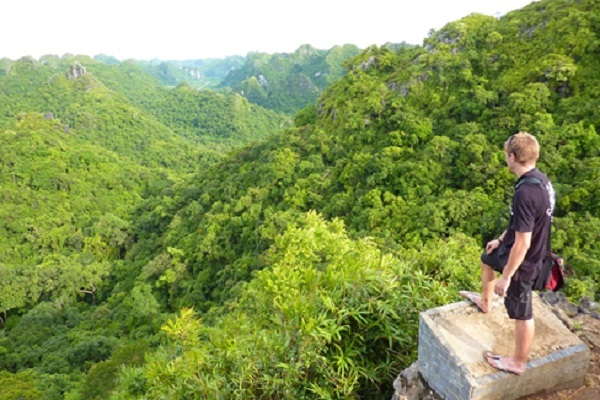 From Halong Bay, first travel to Van Don Island, then catch a ferry to Ban Sen Island.